I am taking an adult ballet class at Kingston School of Dance in the Tett Centre. I’ve been dancing there since late last year, and I’ve been going every Monday for about 6 months. Of course there have been a few weeks where there was no class (Christmas, Easter, holiday Mondays etc.) but I’ve been trying to go religiously. And I feel like I’m actually learning the stuff. I published a post about starting up in the ballet dancing world. 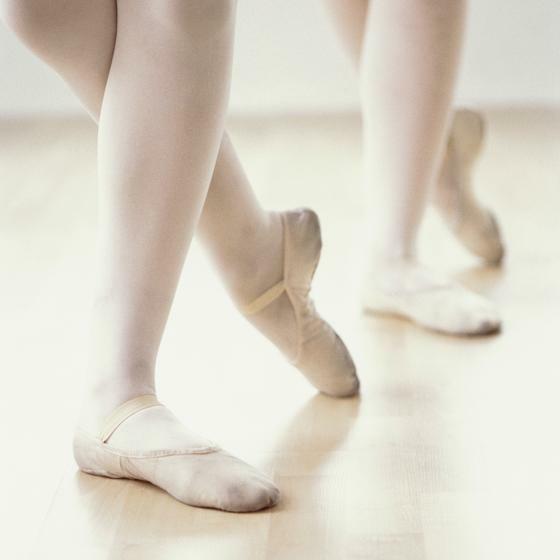 I’m Taking Ballet Lessons And Loving It is my first post about ballet class. Don’t be fooled that I posted it after this post, it’s just that it was on my old blog and I repurposed and edited it for this one. I’ve also shared a post on how I’m feeling after a year of ballet class. You can see I still love it, but my challenges have changed! If you took the time to read those links you’ll know I’m not a born ballerina. Grace and ballerina poise do not come naturally to me. But Ebon is a fantastic teacher, and he lets me stumble around for a bit with new moves before he starts actually correcting my positioning. This is so important to me as I need those first few times to try it out, and feel it out, before knowing my brain understands the pose, or the steps, enough for my body to then be directed properly. The classes are structured at about 45 minutes of barre time, then centre work, some diagonal cross room sequences (which is the hardest part for me) and then a reverence to signal the end of class. Sometimes there’s more centre work, sometimes there’s a structured stretch sequence, and sometimes we bog the teacher down in questions and don’t get as far as he’d like, I’m sure! I’m still surprised at how sore my legs can be 18 to 24 hours after I take the class. At work in the middle of my standing Tuesday my legs just start to ache. Not every week, and not for the same reasons every time, but the feeling they’ve been exercised is there for sure. Something that was, and continues to be, surprising to me is the amazingly supportive atmosphere at this dance school. I had practically no dance experience before starting this class (except for maybe one season of 4 year old ballet class as evidenced by this photo my parents dragged out of their archives!) but no one judged my abilities. In fact, the ladies (and now a few gentlemen have joined the class as well) offer nothing but helpful comments and critiques, and they are genuinely pleased when I seem to catch on to a difficult sequence of steps. This is so key to helping me feel like I’m bettering myself without taking away from the lesson structure that the more advanced dancers need. I feel like I belong in the class now. At first I was the “new girl”, and I was okay with that. Now I feel like more is expected of me – and it should be! Sometimes I can even help the other, newer, people with the things it took me a while to figure out. And that is an amazing feeling. I guess I must be learning something! One of these days I will gather up the courage to try the Adult Ballet II class. It runs Wednesdays 7 until 8:30pm, but right now Emma dances on Wednesdays from 6 until 8, which is her usual bedtime every other night. I feel like I can’t make her stay up later just so I can get my dance on, you know? Also she needs the sleep, especially after 2 hours of dancing and full day of school. We’ll see in the new fall term what everyone’s schedules look like, and if I have enough spare cha-ching to take two classes a week. Adult Ballet II is structured the same as my class (Adult Ballet I), but I feel like there’s less time between poses and sequences, and less instruction needed as the folks in that class are more advanced. Often half the dancers are the same as the ones who take my class, they just do both for more instruction over a week. Also it’s a fabulous workout. Any other parents out there take classes for time to themselves in a regular week? It’s working out so well for me – when I’m there I’m not “Mom” at all and that feels great! I used to dance when I was younger. I had both of my boys in dance for a few years, but they’ve stopped now. I often think of taking it up again for myself. Thanks for sharing at Turn It Up Tuesday.